Once you have finished your game the hard part begins: when strangers play it. We submitted a new a game to the App Store a few days ago which we are releasing next week. It’s called AstroDoge and we started working on it Feb. 24 and first submitted it March 8 with an anticipated release of early this past week. We decided to push it to next week for two reasons: 1. add some social features and fix bugs 2. the overall user experience (UX). After watching people play the game we realized we needed to spend a ton of time telling people how to play. Because of play testing we pushed the release date, combine this with the recent announcement of TradeCity’s beta next month I figured it be worth posting about play testing. Having people play your game is key to figuring out if your game is achieving its goals – no matter what the goals are. It is key to have people who fit within your target audience to play the game. Choosing your play testers is usually done first by who’s around and this is fine for early stages of game development. This informal testing should be ongoing with the development team all the way to releases. Once the game is far enough along you’ll need to find people who (you think) will actually want to play the game upon release. This may sound obvious but is often forgotten! There’s a reason that this is point number one in this post and in this Gamastura article. How old is our intended audience? Is the intended audience predominantly male, female, or split? What device or platform is our game targeting? (Don’t recruit players if they’ve never played a game on that platform before). Does your game assume any prior knowledge from the player? When play testing, what should you do? You should shut up and let them play. Basically all the stats you can! If you’re not Valve, then there are other (and cheaper) ways to understand what you need to fix in your game. 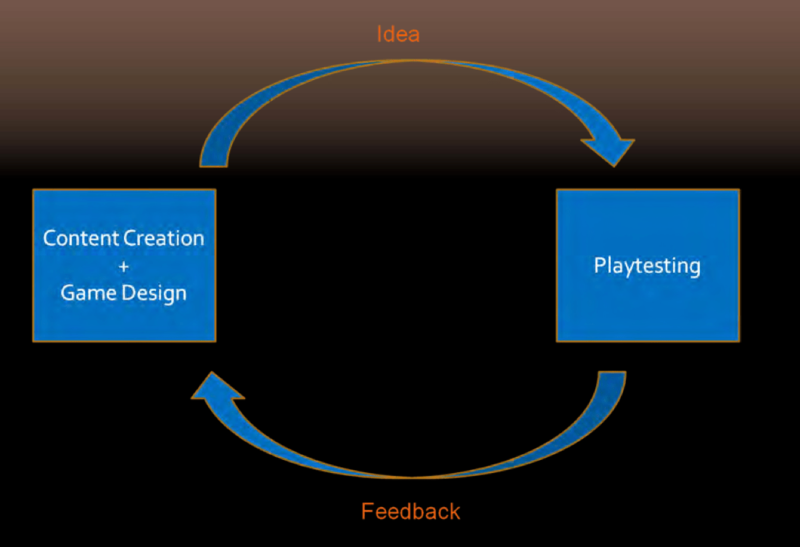 Over at Hobby GameDev, there is a great post on how to play test for indies. Are there things about the game that you find yourself wanting to apologize for each time you put it in front of a tester? That’s a form of feedback that they don’t even need to say out loud. You know what to do! Is there information that you find yourself wanting to point out to testers? That a certain jump can be made, that a certain button activates something, etc? That information needs to be embedded in the game, at least textually if necessary but ideally in a more visual, natural, or otherwise immediate fashion. In the end, we decided to delay our game because the core game mechanic turned out to be something most people didn’t understand. We discovered this because we had to actually tell people how to play no matter how we visually conveyed the information. To throw a wrench in all of this there is an argument to stick to your aesthetic core. Over at Medium, one of the designers has a great (and long) piece on underlining hyperlinks. Eschew all of the above and stick to your artistic gut.